This mascara is a film type fiber mascara, which is supposed to volume and curl your lashes and make them look longer on top. This sounds like everything one needs when looking for a good mascara. The mascara and its packaging are really pretty. 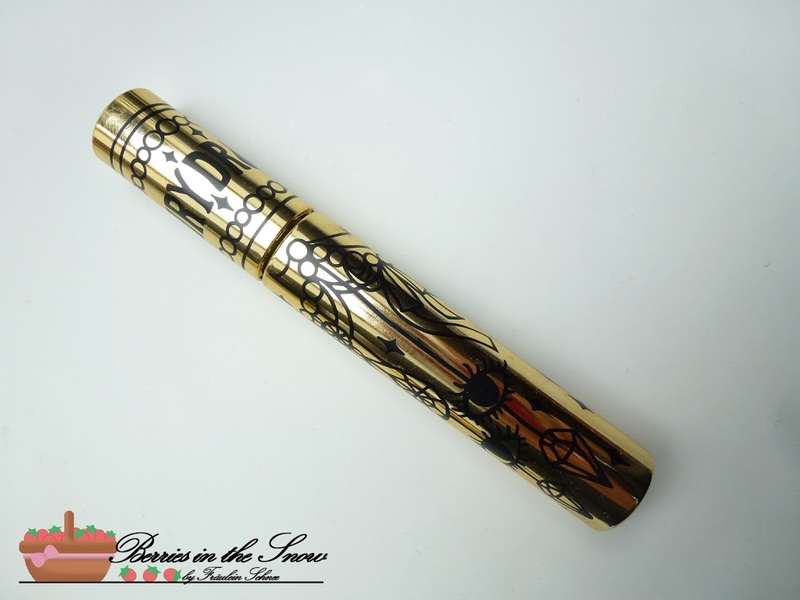 The colors of both of them are mainly golden, with black symbols/ornaments all over. I really do like the packaging. The wand of this mascara is curved and consists of three rounded parts. This helps to catch all the lashes, even the smaller ones. 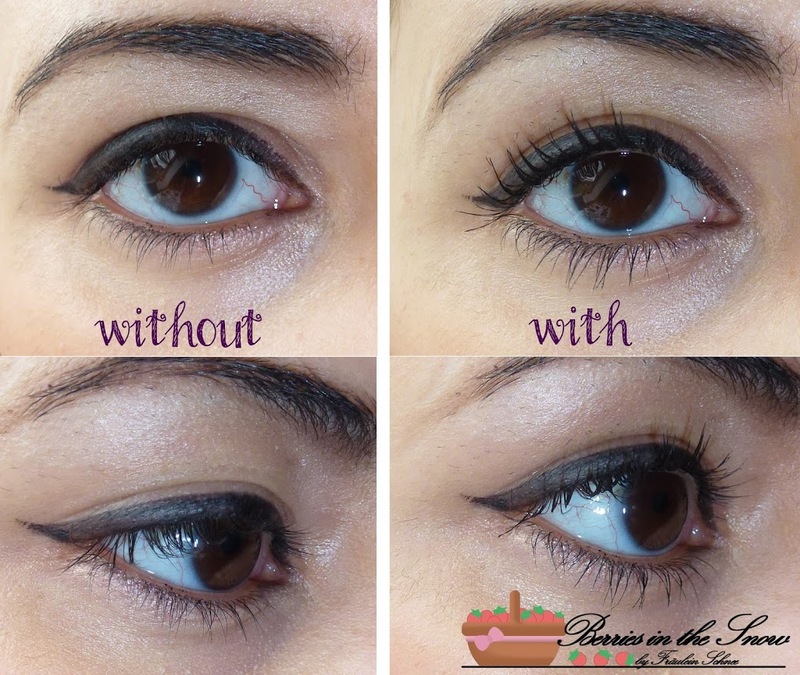 The effect of the mascara is clearly visible in the pictures below. My lashes are curved and look longer and denser at the same time. 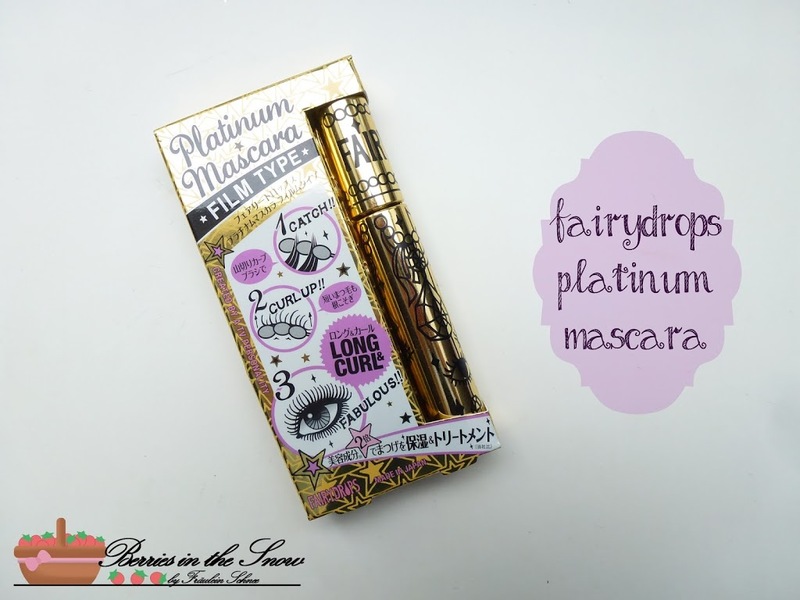 I love this mascara as much as I love the one from Etude House. 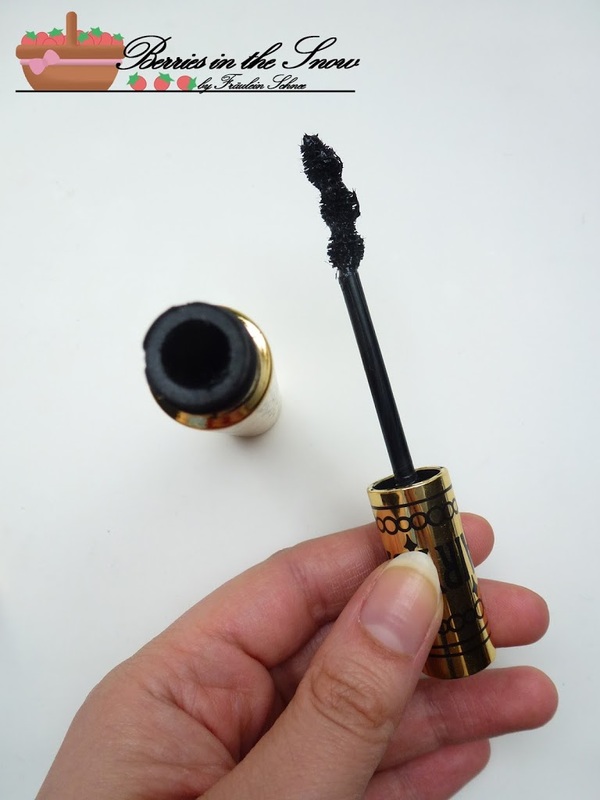 Its also super easy to remove because it is a film-type mascara. I’m completely happy! The only downside is, that it is quite expansive. I bought mine at AdamBeauty for around 18 US$, but the price can go up to 25 US$ depending on were you order. I have not had any luck with fiber mascaras at all. They leave my lashes looking spidery and dull, but this is pretty glossy and bright. Nice effect! Did you have any problems with the fibers? Now this is on my wishlist! Ohh, cute new rating scale! I tried one of the waterproof mascaras by this brand. I’d heard great things about them, but it really didn’t wow me. I’d love to try one of the other formulas, but with the price on the Etude one lower, I’m not sure I’ll take the risk. It looks like it did a good job, although I’d prefer a bit more definition! Do check out kiss me heroine long & curl mascara, it’s the best I’ve come across in japanese brands and it’s super waterproof too! It looks like a great mascara! I have never tried a Japanese brand mascara or makeup product for that matter! I need to correct this so I can share with my blogs readers/subscribers also! Thanks for the tip! 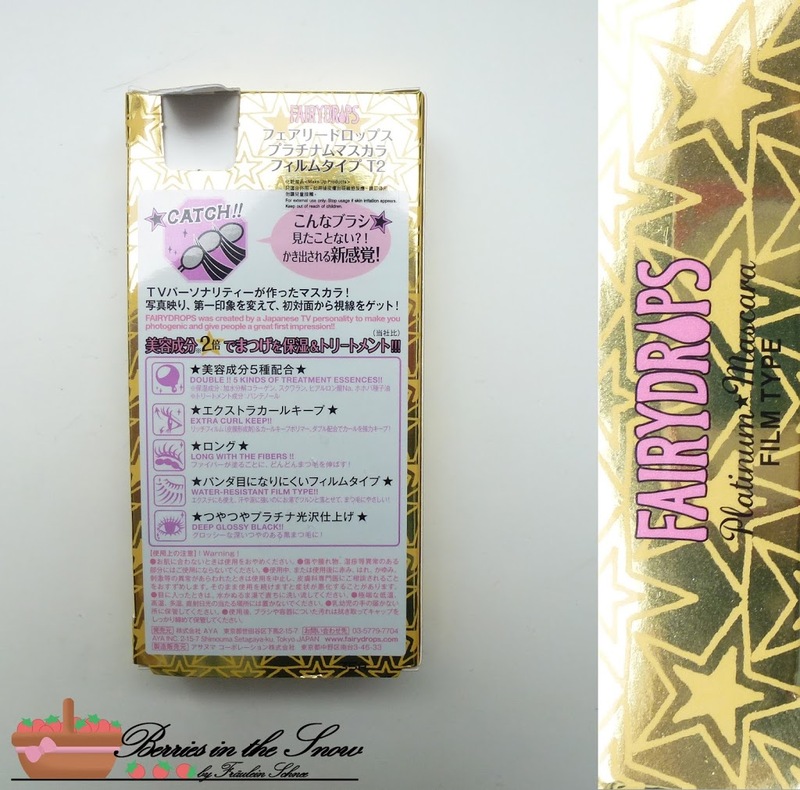 I’ve yet to try Fairydrops mascara before, but the wand looks pretty cool! I just have so many mascaras I need to go through right now haha. Oh sounds interesting! So it isnt waterproof and still holds a curl? Will this mascara endure sweating if you play a sport?